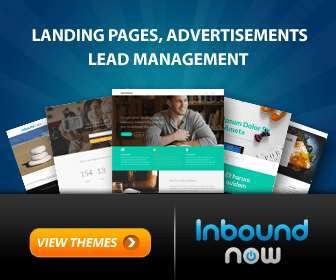 Are you having a good landing page but still the conversion rates are below average? Do you know what’s wrong with your landing pages due to which you are not getting the desired conversions rates? Are you getting worried about the impact of low conversion rates on your eCommerce website? Well, it is true that different sites have different traffic sources, volumes and different brand perception and also a different relationship with their audiences. So, it is quite difficult to compare your landing page with the same industry or business but there are some things that can be implemented to your landing pages to increase conversion rates. So, here, in this blog, you will get to know what you can do when your conversion rates are below average. But, before that, let us first know what is a good conversion rate and why it is important to have a good conversion rate. What Does A Good Conversion Rate Mean? Conversion is a key element in a paid strategy and it is when a web visitor completes a desired action and the conversion rate is calculated as the percentage of total web visitors who took the action. Generally, eCommerce conversion includes adding items to a shopping cart that completes a purchase or saving items to buy later. If most of the visitors visiting your site are not those things that there is a big problem in your webpage. If your conversion rate is 12% then it is pretty good for lead generation landing pages. If your competitors are getting this much conversion is then it is good for you but if you are not getting this much then it is a great thing to be concerned for. One of the major reasons you are getting desired conversion rate may include that wrong people are visiting your web page or landing page. And, it is obvious that they will not take any action for conversion steps. Well, do not worry, if you want to increase conversion rates then just follow these below things and get desired conversion rates for your webpage or landing page. Here, in this section, you will different things that you should definitely do when your conversion rates are below average. These things are so beneficial for your eCommerce site or landing page that you will definitely find that your conversion rates have increased a lot as compared to the previous statistics. So, do not miss to apply these things to your webpage or landing page to increase conversion rates. If you are asking your customers to hand over your personal and financial information on the web then there is a great need to first build trust. Before you ask them to add a product to their cart and complete the checkout process, you have to establish trust. It has been found that customers terminates70% of online purchases because of lack of trust. Your customers may really want whatever you are selling but if there is no trust between you and your customers then they will not convert at all. It is very important to understand the journey that your customer has to follow to reach the point where they are willing to convert. Even if your eCommerce site or landing page might look clean, the next step towards a conversion could really make the whole things come crashing down. So, try to provide an excellent experience across all devices which also include minimizing the total number of clicks that are necessary to complete the transaction. The top most causes of cart abandonment are the complicated site navigation and the checkout process. So, try to first test your conversion paths internally, and you can also try a service tool to get the unbiased customer feedback. #3: Know How Customers Feel About The Process? If you are much concern about your below average conversion rates then the best place to turn for insights are the customers itself. You can try feedback tools like a customer survey so that you can reach out to your current customers and also those who abandoned their carts midway via the shopping experience. With such tools, you can also ask them to provide information on why they made a purchase and what difficulties they experienced while on your site. Due to this approach, it will provide the quality insight into what could be the possible cause of poor conversions. Also, it will show customers that you are making an effort to improve the site based on their feedback. You can also try some online tools that help you to create a better landing page, as for example, Landingi and LeadPages tool. 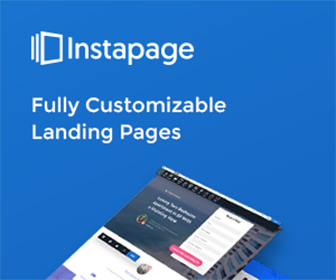 This tool will really help you manage your landing page to become perfect for your customers. Well, I am not 100% sure why free shipping is a big deal but it has been found that sites that offer free shipping are much prone to have higher conversion rate. This is a fact and everyone feel better when they are getting a deal. If you offer free shopping then you make the customers feel they are getting some kind of deal even if they are not getting any deal at all other than free shipping. Now you must be thinking that you cannot offer free shipping if it is so then you are wrong? Always keep in mind that this is just a psychological game. Yes, you can simply increase the price of products to cover the shipping cost if that’s what you need to be done. Just think once what you want to see in the product’s image when you are shopping for your own self. When you shop, you can’t touch the product or put it on. Same things happen to your customers as well, so the best thing you can do is to show a detailed image as possible so that the customer knows exactly what they are getting. So, here I would like to suggest you use high-quality images as possible depending on how close you want your customers to zoom into the image. Always write valuable and useful content to supplement your products. The more valuable information you provide, the more your customers are likely to convert. Valuable information here means writing everything about the product in a detailed way and also use blog content to inform, educate and engage your target audience. Doing so will also increase organic SEO traffic which is quite good for your business page. This will not get the help you get the desired conversion rates but the needle will definitely move. It is very important to make sure that your checkouts form is clearly understood. I would like to recommend you to have the field limits only what can be typed into the particular fields to make it easier for the buyers. As for example, if a user types a credit card number the then you should format it for them as they go easier to read and harder to mess up. Also, in the date field, do not let the user type the date, let him/her just pick a date from the drop-down option. The visitors already feel so doubtful when they enter their personal debit/credit card info so don’t give your visitors any reason to feel uncomfortable or make it hard for them to check out. You can also provide the option, digital wallets to help with this. Some digital wallets like PayPal Express and Amazon Pay are very helpful. This option allows the user to sign in with their account information and then pre-populates everything for them. This is a very secure way to pay for the products. When it comes to increasing conversion rate if your conversion rates are below average then you should also add a great return policy to your eCommerce site or landing page. Most of the customers used to read the return policy before they buy the product. It do not over-promise here but makes sure that it is as painless and as easy as possible for customers to return the products. However, this may not sound like conversion optimization but it is another example of basic business practices that act as Conversion Rate Optimization. It has been found that eCommerce site or landing pages who offer live chat services are much more prone to have higher conversion rate. So, I would like to suggest you offer your customers a live chat support. If you are truly available during the business hours to immediately answer them to their questions then it is truly appreciable. Do not let the software or product go into the mode that says you are currently unavailable and that they can leave a message. It really sends a bad signal to your customers. So, it would be quite better if you do not implement this option at all if you cannot be there when they need you. Try to get the best live chat supports that always help your customers while answering them to their question. Some of the best live chat support services you can try to provide your customers the best ways to answer their questions are LiveChat, Olark, Provide Support, Crisp Chat and more. No doubt that it is so frustrating to watch hundreds of people visiting your webpage or landing page but at the end, you are left with empty carts and no opt-ins. Well, it is not so easy to figure out what is holding them back but you should ask yourself that are you targeting the right people. Yes, this is the question that should come to your mind when you get negative results. It may be possible that you have a great product for the market but if you are presenting it to the wrong audience then it will never generate a significant interest. So, be very careful while presenting your product to the audience because it will only convert if you target the right audience. Do you know why people buy products from online shopping sites like Flipkart and Amazon? This is just because of the reviews. Yes, believe it or not, review plays an important role to sell the product. So, in order to increase conversion rate, you can allow your customers to write product reviews. Also, you can offer them coupon code or any other type of incentive next time they purchase as a reward for writing a product review. You can also ask your customers to voice any complaints to you so that you can have the opportunity to address any issues. This will help you receive more positive reviews. And, definitely, visitors will more likely to get your product and this will increase conversion rates that are below-average. It is very important to set up structure your product categories in a logical manner but also always make sure that you use as few levels as possible. This is because the user will reach the product as soon as possible and take an action regarding conversion. You can set up a rotating banner to showcase top products. Also, you can implement a website search in order to find the product easily. If a visitor can find a product faster, then the user will take an action more hurriedly. And will also help you increase conversion rate easily. 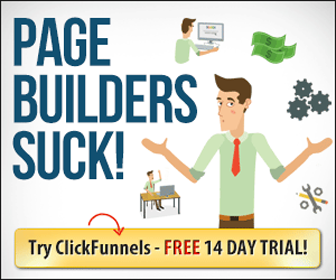 However, if you want to take help to build pages inside a sale funnel that are proven to convert then you can use ClickFunnels tool. With this, you can easily make your customers convince and let them take an action. Once the customer leaves your landing or web page, they are most likely to buy a product from somewhere else. Some people just hate pop-ups but the only chance to catch a possible customer is the moment they are trying to leave your webpage or landing page. However, you can take help of some effective tools that will help your customers show interest in the purchase of the product. With the pop-ups, you can collect an email and drive your subscription base. Subscription base are people you do not have to spend money on to advertise or market to just because you can send them an email instead. For this, you can take help of OptinMonster tool. This is the powerful conversion optimization & lead generation software that will help you increases your sales. If you have a lower conversion rate then it is not good for your business. So, if you have such issue then you can get idea form the above thirteen things that you can actually do when your conversion rates are below average. All these things will help you to get higher conversion rates and customers engagement. Also, you can know here how your landing page and webpage look like so that visitors can stay for long at your page and take an action to convert the product. All I can say is that you can achieve whatever you want in life if you have a perfect plan and some ideas in your mind. So, in the same way, if you want to increase conversion rates then you can take some ideas from this blog and implement on your landing page or web page and get your desired results. Learn the Ways to Generate More High-Quality Leads without Having Digital Knowledge! A Complete Review of Clarizen – Customizable and Advanced Project Management Software for All!